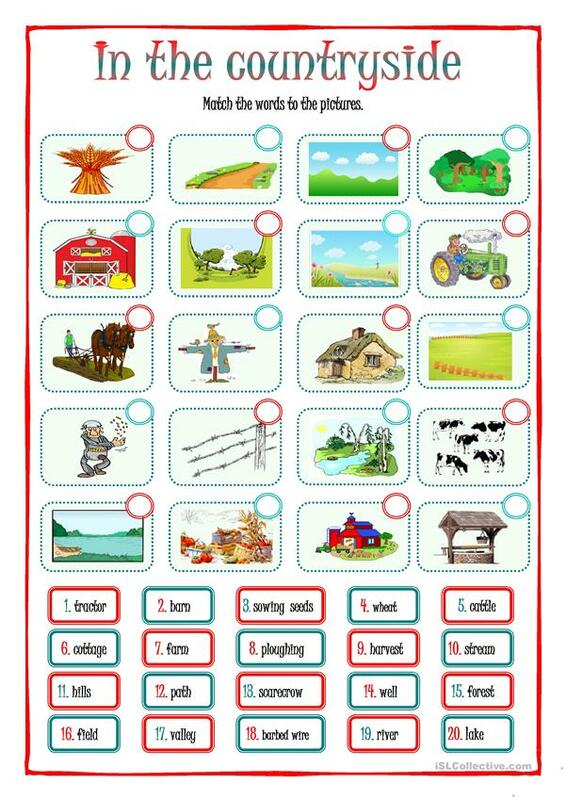 Some vocabulary related to the countryside. (barn, cottage, stream etc.). Match each picture to the correct word. 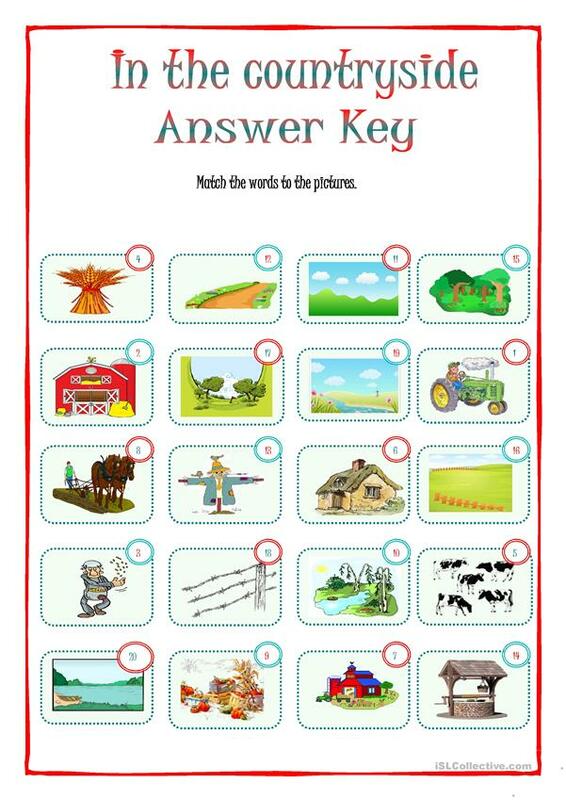 I have included the answer key. This downloadable printable is recommended for high school students, elementary school students, adults and students with special educational needs, learning difficulties, e.g. dyslexia at Elementary (A1), Pre-intermediate (A2) and Intermediate (B1) level. It centers around the topic and words of Environment. The exercises come with answers.